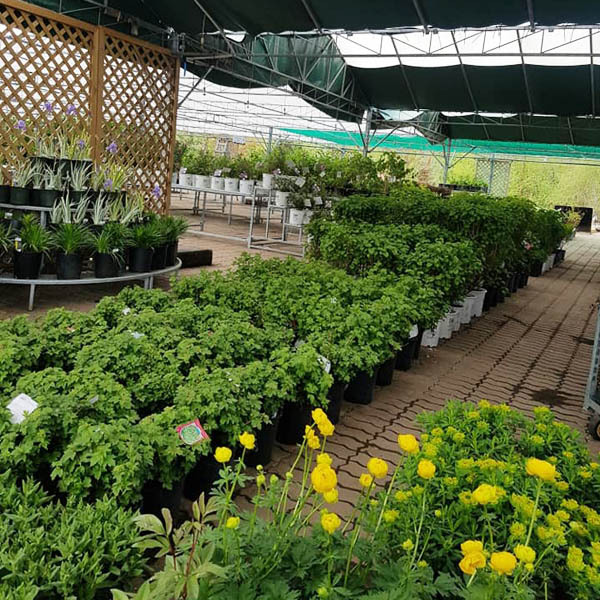 Since it is difficult to capture the true essence of a living plant online, we invite our customers to browse our retail yard to see, touch and smell our plant selection in person. Here you will find trees, shrubs, perennials, indoor plants, seeds, planting accessories, and gift items. Most of our plant inventory is sold in small pots that are easily handled and planted by the customer. However, we also hand pick the best of our large caliper trees, grown right here at our nursery, to offer the public. To make these larger caliper trees more accessible to our retail customers, we offer Delivery and Planting Services, as well as Tree Moving Services. With over 1,000 plants to choose from, the choices can become overwhelming. Kiwi Nurseries Ltd. prides itself on knowledgeable staff. Each season our staff is continuously trained to identify the needs of our customers so they can help pick the plants that are right for our customers’ landscape projects.